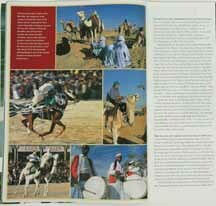 JAPAN AIRLINES (JAL) IN-FLIGHT MAGAZINE. 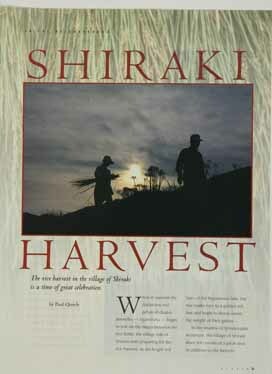 This magazine is available on all of the airlines flights, a huge circulation, and I supplied an 8-page feature on rice production throughout the seasons around Shirakiyama, my neighbourhood in the countryside of Hiroshima Prefecture, JAPAN. JAPAN AIRLINES (JAL) IN-FLIGHT MAGAZINE. 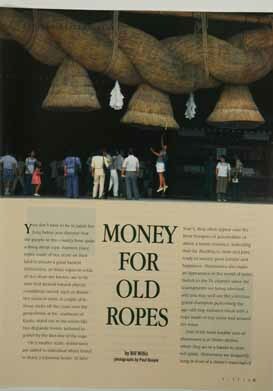 My image of this huge rope at Izumo Taisha Shrine, JAPAN. JAPAN AIRLINES (JAL) IN-FLIGHT MAGAZINE. 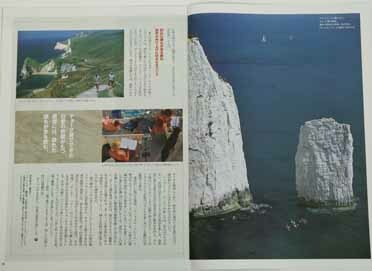 Japanese language section of my five-page feature on "Jurassic Coast", World Heritage site in Devon/ Dorset, ENGLAND. JAPAN AIRLINES (JAL) IN-FLIGHT MAGAZINE. 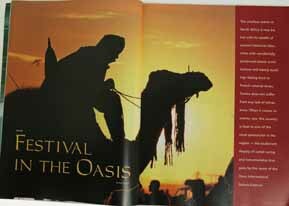 My photographs and text on Sahara Festival, TUNISIA appeared over five pages in this huge circulation publication. JAPAN AIRLINES (JAL) IN-FLIGHT MAGAZINE. 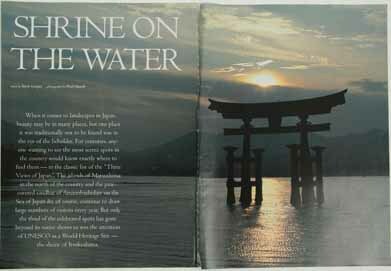 My photos were used over six pages on a feature on Itsukushima Shrine, on the sacred Miyajima Island, near Hiroshima, JAPAN. 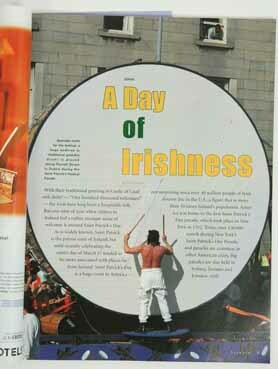 My photos and text were used over several pages on a feature on St Patrick's Day, March 17th, here in Dublin, IRELAND. JAPAN AIRLINES (JAL) IN-FLIGHT MAGAZINE. 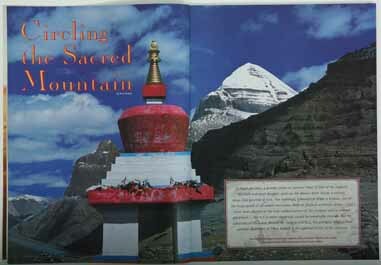 My photos and text were used over seven pages on a feature on Mount Kailash, the most sacred mountain in the world found in remote western TIBET. JAPAN AIRLINES (JAL) IN-FLIGHT MAGAZINE. 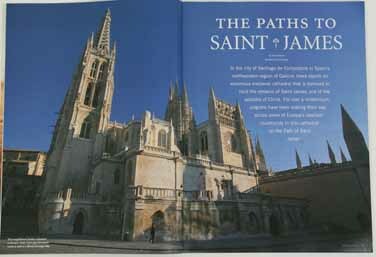 My photos were used over eight pages on a feature on Camino to Santiago, a pilgrimage across northern SPAIN. JAPAN AIRLINES (JAL) IN-FLIGHT MAGAZINE. 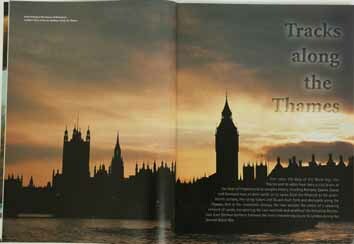 Eight page photo feature on River Thames, ENGLAND. I walked the entire length of the River Thames along the Thames Path from its source in Gloucester to the Thames Barrier at its estuary. 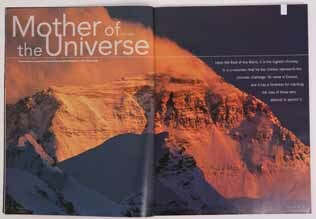 My photos and text were used over seven pages on a feature on Mount Everest, from the TIBET side. 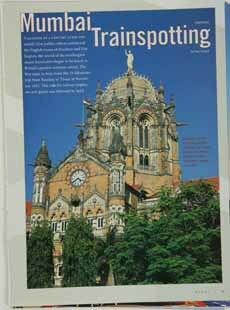 My photos and text were used over several pages on a story "24 hours in the life of Bombay's VT train station", INDIA.